There's no denying that Deadpool and Cards Against Humanity have a few things in common—both are pretty vulgar, both are also hilarious. So it only makes sense that he'll be getting his own party game, Deadpool vs the World. As Entertainment Weekly reports, the adult party game, created by USAopoly, will feature 100 custom illustrations, cards that read such things as “WTF?” and a wet-erase “Caption” card—to come up with the wittiest captions, of course. “Winning requires players to tread outside of their comfort zone and fill in the blanks of cards that elicit inappropriate responses, ensuring outcomes of surprise, shock and outbursts of laughter,” USAopoly tells EW. The game is set to be released this summer, and you can take a peek at the game below. 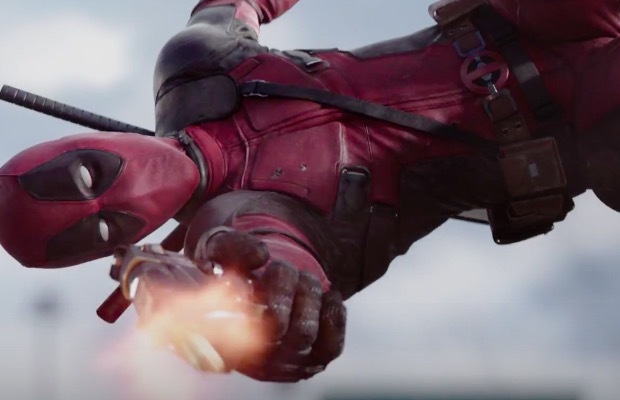 Deadpool 2 finally has an official trailer, and it's an epic one that features the debut of the character Cable. Let's just say: We're stoked to see this one in theaters May 18.